Oceanfront estate with twelve master bedrooms and amenities galore. Over 9,000 square feet of heated living area. Designed to impress, this grand home offers stylish furnishings and upgrades, Persian rugs, an elevator, luxurious master suites with private baths and sensational entertainment options on each level. 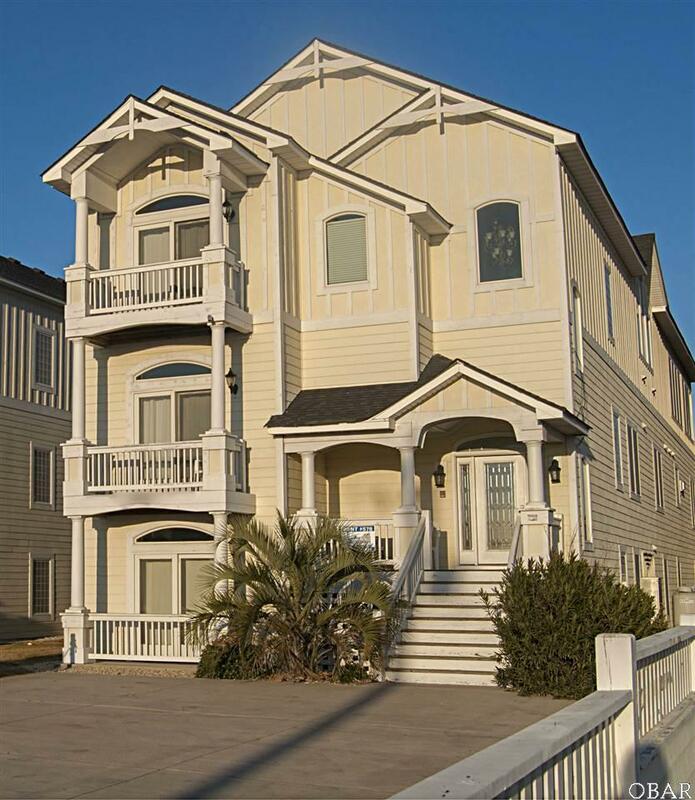 Centrally located in the town of Kill Devil Hills, guests have easy access to historic landmarks, national parks, family recreation and a multitude of dining and shopping opportunities. The ground floor features a well equipped recreation room with regulation size pool table, foosball table, plush sofa seating, mounted flat screen and a bar with sink, microwave, full refrigerator, icemaker, dishwasher and bar seating. A private 13-seat home theater with tiered seating, a projection screen and surround sound, creates an in-house cinematic experience .Soaring ceilings, class columns, shimmering ceramic tile and elegant furnishings greet you as you ascend to the top level. A grand king master suite completes the top floor and has a private balcony, sitting area, two-sided seasonal fireplace, plasma screen TV, mini refrigerator and a Jacuzzi tub. Outside a custom concrete pool is center stage and offers an inset kiddie pool to keep the little ones close. Ample outdoor furniture allows for lounging under sunny coastal skies. A poolside cabana provides a respite from the sun and offers a soothing hot tub and rooftop deck for beach views and sun bathing.